Traction…. true traction is having so much profitable revenue that a company has the ability to self-fund all operations without the need to raise outside capital. Now, somewhere between a vision and true traction, lies the ability to attract Venture or Angel Investors. The more confidence investors have in a startup’s ability to achieve traction, the more likely they are to get funded, and the less dilution the company will suffer. Traction is one of many sliding scales that increase a company’s chances of raising capital at an increased valuation. Traction is the ultimate proof source. People come out of the woodwork to give you cash when you’re flush with it. Without it, you’re like some schmo with no cash – when you really need money, the bank won’t lend it to you. So what does a pre-traction, pre-profit, pre-revenue company do to show traction? The earliest stage startups begin with a premise, a proposed go-to-market theory. The premise? It will cost X to acquire a customer, and the lifetime value of a customer is Y. As long as Y is higher than X, you’ve got a good start. The higher the differential, the more valuable the company. If your cost of customer acquisition and your lifetime value of a customer are only theory, you’re probably not going to get much traction with investors. The more proof you can provide that validates your theories, the better chance of getting an investor. The less a theory feels like hope, and the more it turns to belief, the better. So if you want investors, you might want to build a Minimum Tractionable Product (MTP), defined as the minimum product required to prove your go-to-market assumptions. The other day, I was speaking with a founder who was telling me if he had money, he’d spend it adding features so he could open up new markets. I said, “If I had money, I’d spend it acquiring customers with a lifetime value greater than the money I spent. 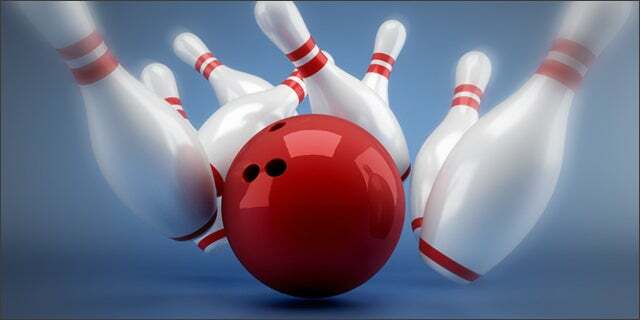 I’d prove my go-to-market premise.” Here’s the deal – your total possible addressable market is defined in this case as all possible revenue from selling, to all possible customers if your product had all planned feature enhancements, and it is equivalent to the 10 pins in a bowling alley. You young whippersnappers know what a bowling alley is, don’t you? Well, when you go bowling, you don’t throw the ball at all 10 pins. You knock the first pin, with enough force and in the right direction, to start a chain reaction that takes out all the rest of the pins in the alley. Don’t build your product to take out all the pins in the alley. Go for the first pin. Aim for a small, concentrated, important, high-need segment of your market with the minimum product necessary. Prove your go-to-market thesis. Prove your traction assumptions for a small market segment. You’ve already proven you can code, so don’t get stuck on the idea of just adding features. Unless you’re building a Mars Lander, investors don’t doubt you can add features. So get to MTP, and prove that sucker will sell!